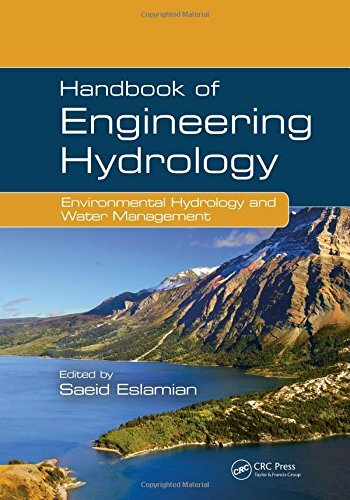 [PDF] Handbook of Engineering Hydrology (Three-Volume Set): Handbook of Engineering Hydrology: Environmental Hydrology and Water Management | Free eBooks Download - EBOOKEE! Description: While most books examine only the classical aspects of hydrology, this three-volume set covers multiple aspects of hydrology, and includes contributions from experts from more than 30 countries. It examines new approaches, addresses growing concerns about hydrological and ecological connectivity, new quantitative and qualitative managing techniques and considers the worldwide impact of climate change. It also provides updated material on hydrological science and engineering, discussing recent developments as well as classic approaches. Published in three books, Fundamentals and Applications Modeling, Climate Change, and Variability and Environmental Hydrology and Water Management, the entire set consists of 87 chapters, and contains 29 chapters in each book. The chapters in this book contain information on: â€¢ The anthropocenic aquifer, groundwater vulnerability, and hydraulic fracturing, and environmental problems â€¢ Disinfection of water, environmental engineering for water and sanitation systems, environmental nanotechnology, modeling of wetland systems, nonpoint source and water quality modeling, water pollution control using low-cost natural wastes, and water supply and public health and safety â€¢ Environmental flows, river managed system for flood defense, stormwater modeling and management, tourism and river hydrology, and transboundary river basin management â€¢ The historical development of wastewater management, sediment pollution, and sustainable wastewater treatment â€¢ Water governance, scarcity, and security â€¢ The formation of ecological risk on plain reservoirs, modification in hydrological cycle, sustainable development in integrated water resources management, transboundary water resource management, and more Students, practitioners, policy makers, consultants and researchers can benefit from the use of this text. No comments for "[PDF] Handbook of Engineering Hydrology (Three-Volume Set): Handbook of Engineering Hydrology: Environmental Hydrology and Water Management".